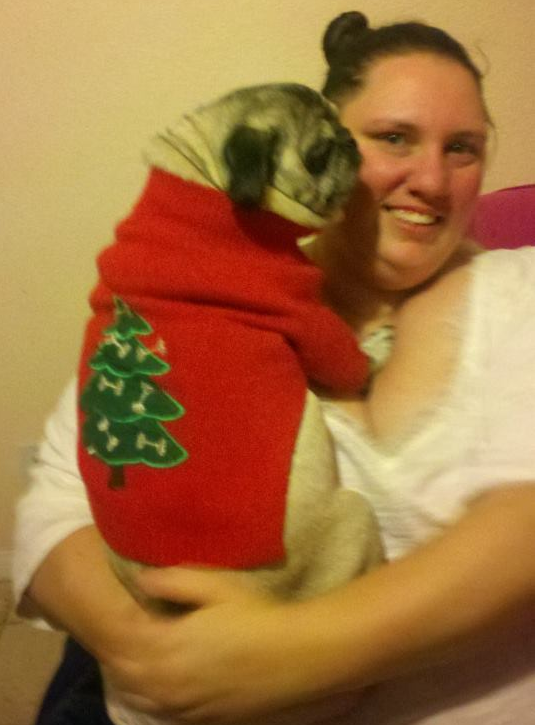 Biscuit the Pug and I wish happy, body positive, holidays to all who are celebrating, and a happy, body positive, end of the year to those who aren’t! One of the most frequent questions I get during the holidays is about how to deal with people – especially family – who are behaving badly. For me the secret is boundaries. I think it’s best to start by deciding what constitutes behavior that you will put up with. If it’s anything other than “anything goes” then I would consider setting some boundaries with consequences that you can follow through with. So, for example “It is not ok to talk about my weight or eating. If anyone says one more thing about my weight or eating I’m going to leave.” and then, if they fail to respect your boundaries, it’s time to go. I’ve re-written the lyrics to “Oh Christmas Tree” to be an ode to boundary setting, . Note 1: In order for this to work, it helps to pronounce boundaries as a three syllable word (BOUND-ah-rees) If this is an affront to your sense of poetic license I completely understand, I’ll be back tomorrow with a post sans song. Note 2: At the bottom you’ll find two amazing renditions of this song by Jeanette DePatie (aka The Fat Chick) and Nadja. Please also feel free to add your own verses in the comments, and/or post a video with your own rendition. Oh good! I was hoping you would repost those two lovely ladies singing! Wow – love the song, and love the singing, both of these lovely ladies have lovely voices! I will be sharing this with friends whose families fat shame them!